This fierce-looking blade inspires fear in the undead, that is, if they have anything left to feel. 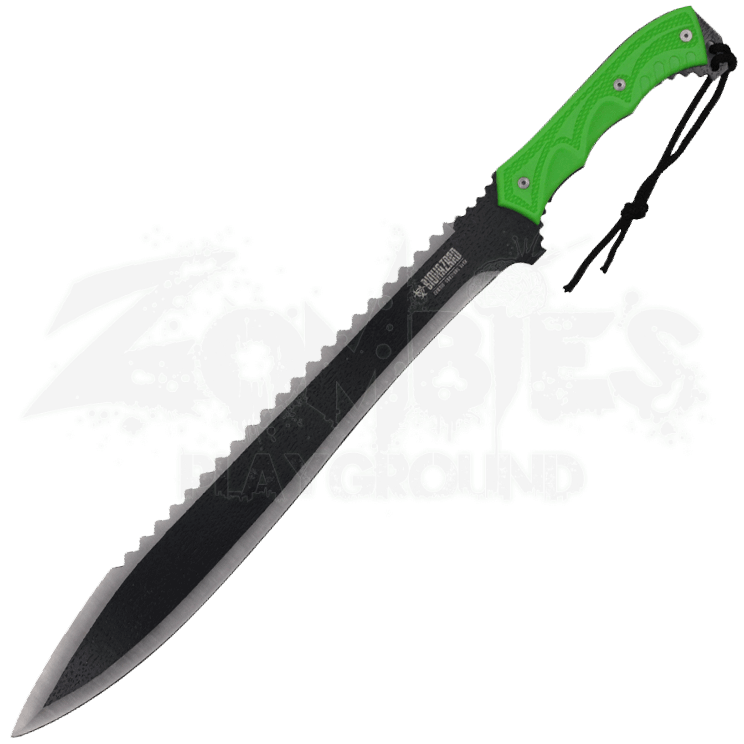 It is not all about looks though, the Dual Colored Biohazard Sawback Machete assists in daily survival tasks and warding off zombies. 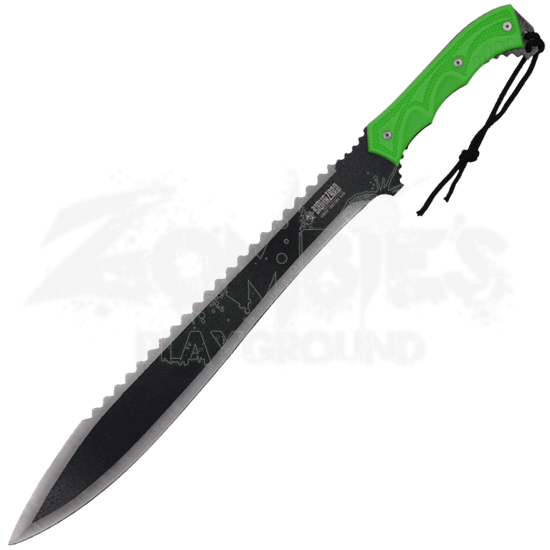 The chopping power and durability of the full tang blade allow its wielder to complete a wide variety of tasks. The body of the blade is black while the edges display a stainless steel finish. Serrations run along the spine. A green textured handle enhances the strength of the grip.